Rottweilers dogs are relatively healthy, and relatively disease-free dogs. As in most of large dog breeds, hip dysplasia can be a big problem.Various Rottweiler breed clubs have had x-ray testing regimes in place for many years. Osteochondritis Dissecans, is a condition that affects the shoulder joints, it can be a problem due to the breed's rapid growth rate. A reputable breeder will have the hips and elbows of all breeding stock x-rayed and read by a recognised specialist, and will have paperwork to prove it. They should also have certificates that their breeding animals do not have entropion or ectropion and that they have complete dentition with a scissor bite. Another possible problem might be obesity, the best way to prevent obesity in dogs is keeping them active with excercises and to keep a good feeding schedule, do not ever over-feed your dog. Guardian Rottweiler - Best for house protection ! Two Rottweiler attacking man with a gun. 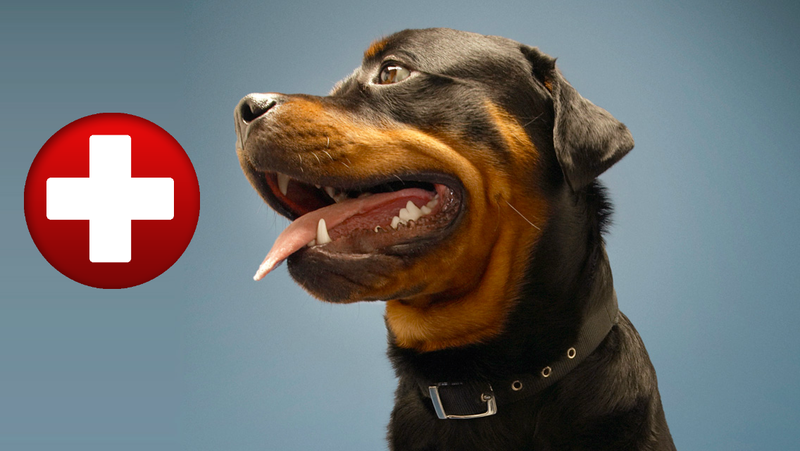 8 Things only Rottweiler owners understand !